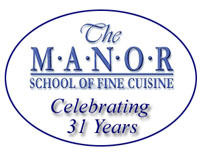 Moroccan Takeaway Cookery Course in Nottingham at the Manor School of Fine Cuisine, UK. This is a relaxing, fun, very informative session cooking Tasty Authentic Moroccan dishes. You will be carefully guided through the dishes which you will then take home. On booking guests are asked to select one dish from each of the three selections below, so that we can have all the mise en place (weighing up) is done for your arrival on the course. All washing up will be done for you too. Recipe folios are provided for each guest, which they may then take home. The school provides aprons, all equipment and produce. Special diets may be catered for if advance warning is given. All produce used is locally produced, in season, organic and free range wherever possible. All guests are helped and guided throughout their stay by our trained chefs. Start time 10am. We usually finish at about 1.30 pm. Home made nibbles, canapés and drinks are served throughout the session, you definitely will not go home hungry. The Cost of £89 includes all the produce you use and the dishes you take home.